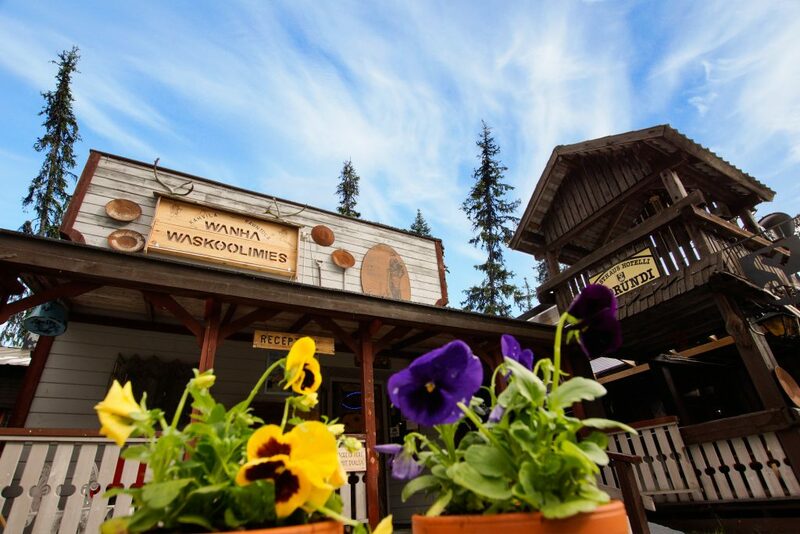 Tankavaara Gold Village holds a long history in gold panning and unbelievable stories and people. Many have come to search for gold but also to seek peace and silence in the midst of big life changes. Gold Prospectors have always travelled the world and with many experiences richer, they have bought new ideas and thoughts to Tankavaara. In our restaurant, you will find all the colourful stories and tastes from the world, but our ingredients are always from our local area, depending of the season. Recipes travel but the ingredients don’t. Enjoy the fireplace and the tastes, and let them take you back in history to the events of the Lapland gold rush. Tankavaara Wild West Saloon is the newest addition to our little village. It was designed by two of the owners of the Gold Village who have had passion for all things related to the Wild West and the good old times. The saloon is good place to have small acoustic band gigs, play a round of billiard or throw some darts.